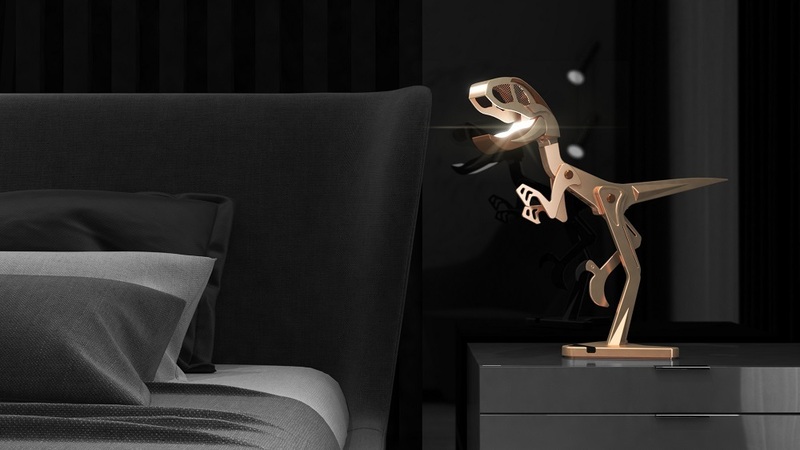 Inspired by the creator’s favorite animal in childhood, the designer brings velociraptor to life with this original LED table lamp. With continuous drafting, shaping, trialing and tuning over 2 years, the Jurassic dream is now ready with a simple yet multi-functional design. 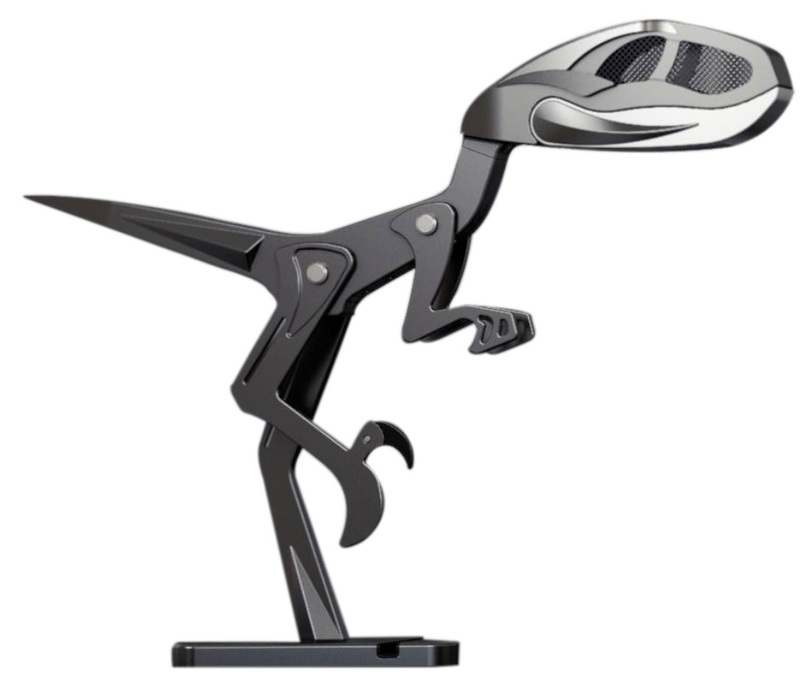 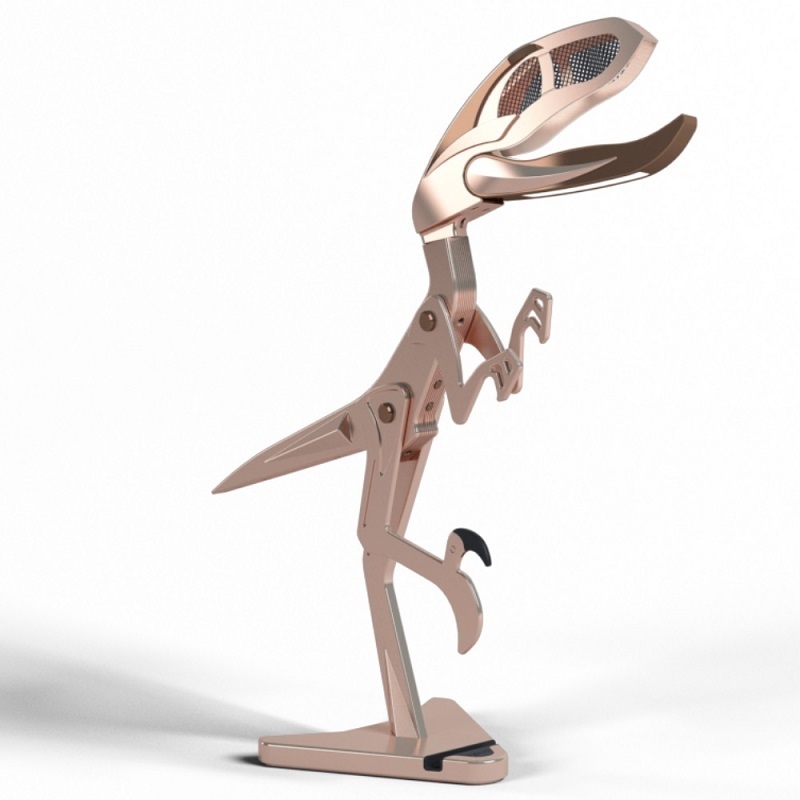 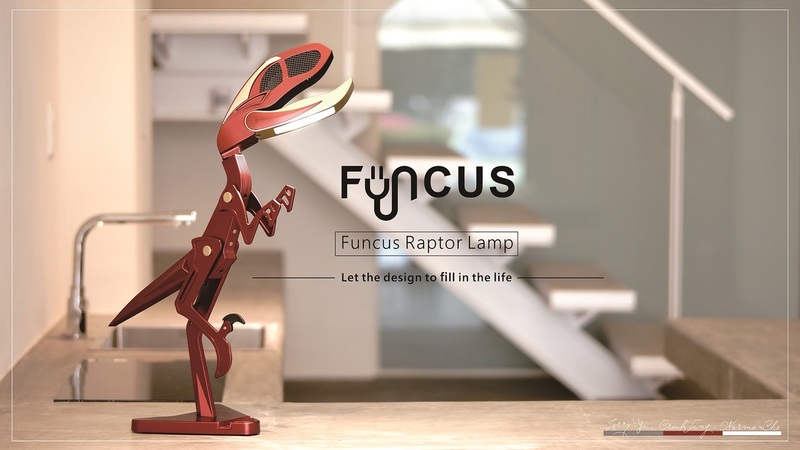 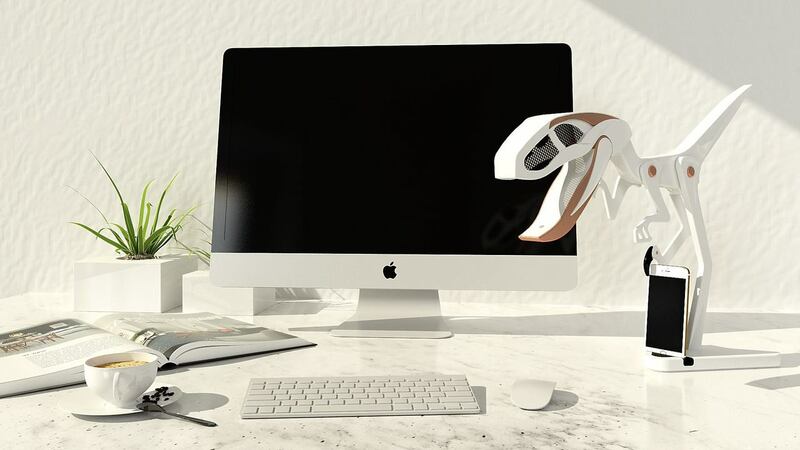 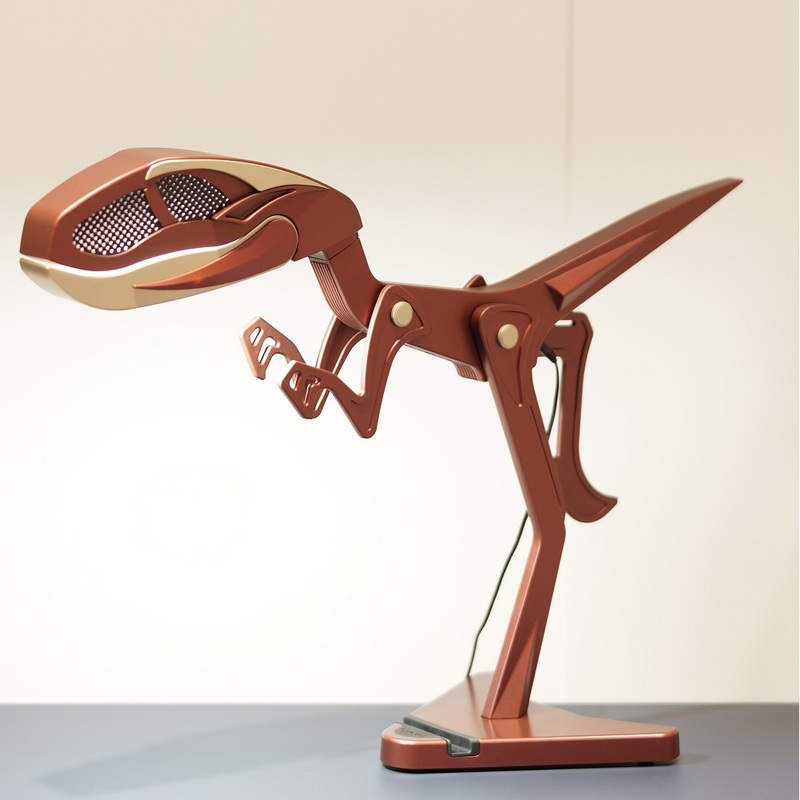 The Raptor Lamp recreates the vivid image of the dinosaur and designers infuse the raptor with spirt & vigor, the lamp is equipped with 7 rotational axes. 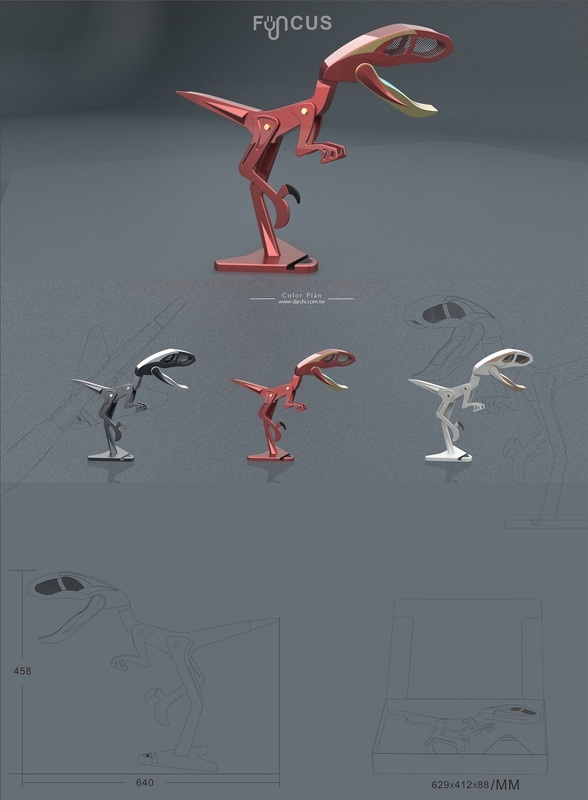 You can enjoy a multitude of unique dinosaur poses with its adjustable neck & limbs. 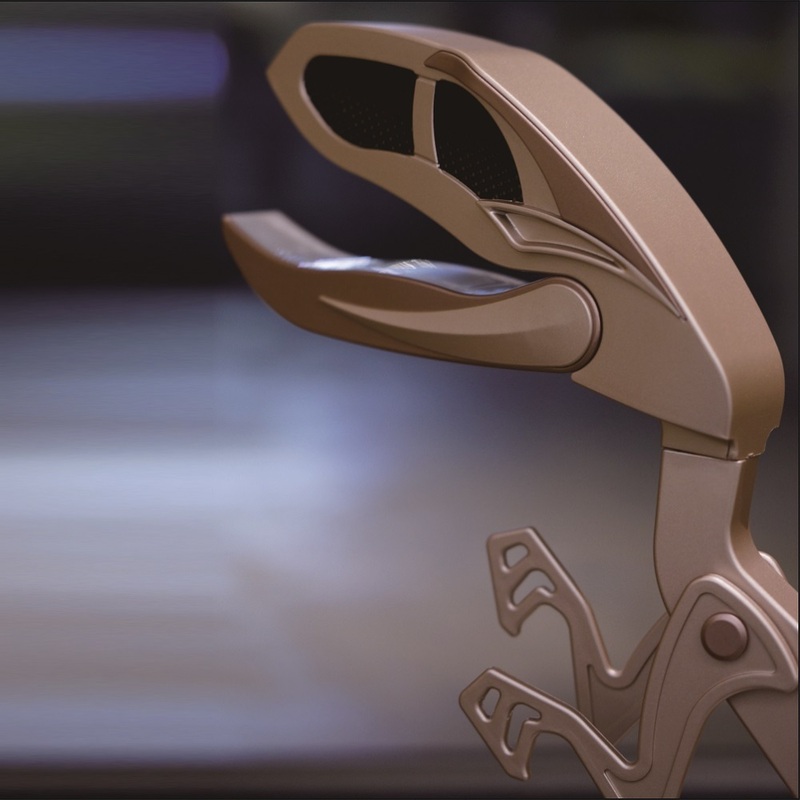 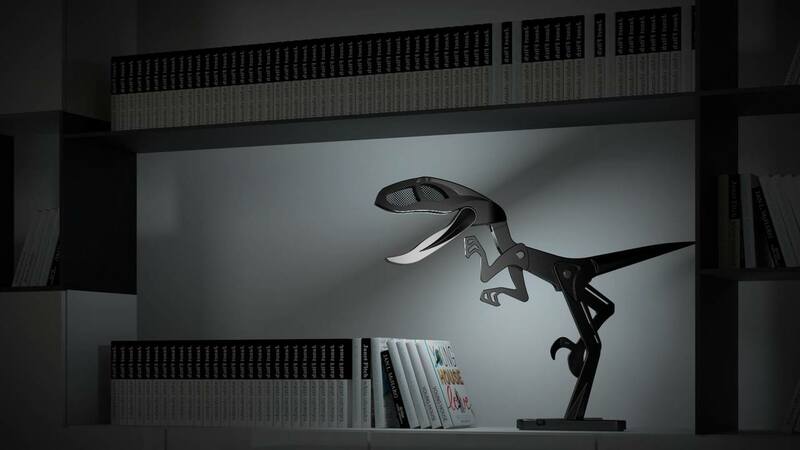 When opening the mouth of the Raptor Lamp, you can find two-way LED light source from its jaw and tongue. 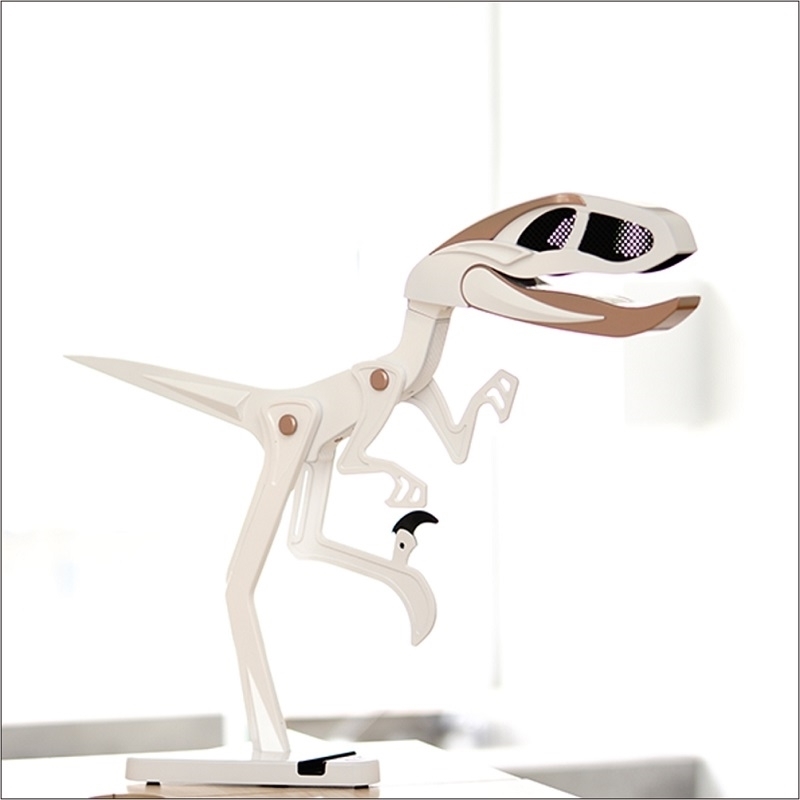 Light could be controlled with dimmer based on environment, which allows this dino companion a proper desk lamp for kids or a decoration at home. 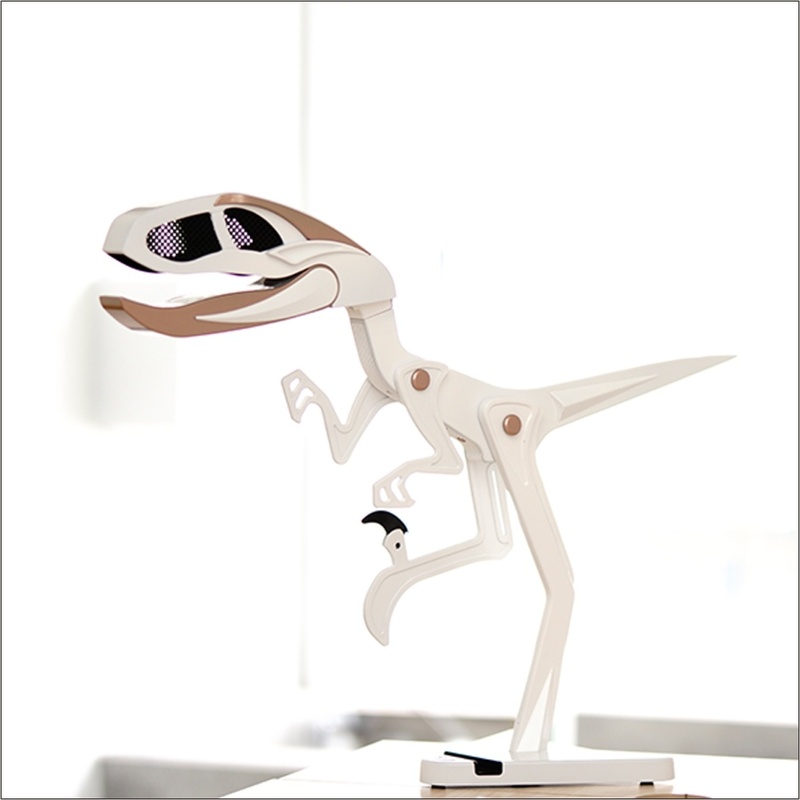 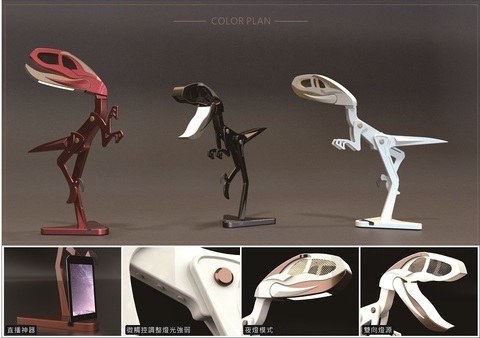 At the dinosaur lamp’s base, an adjustable silicone claw is able to grasp mobile device firmly for you. 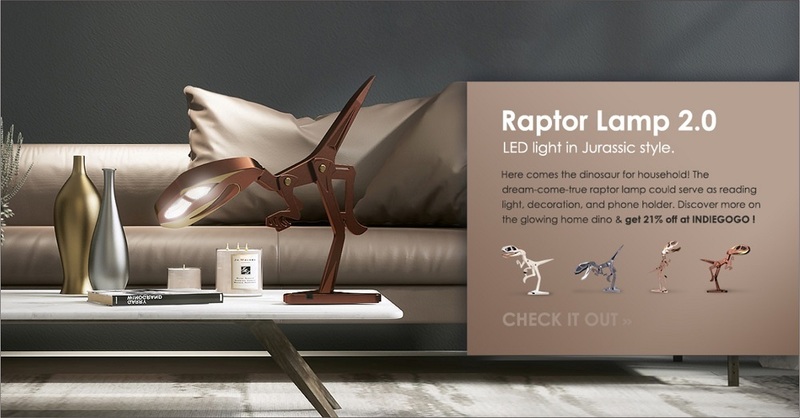 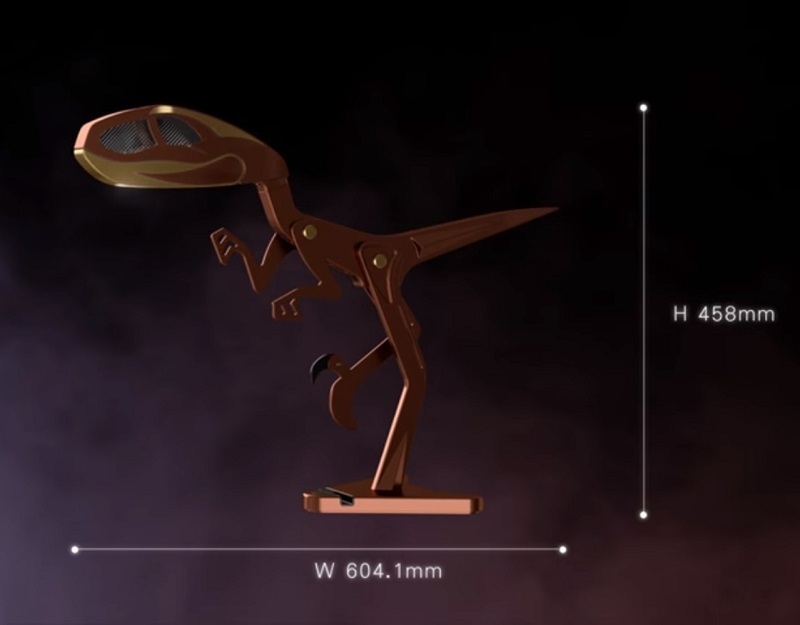 What the Raptor Lamp does is brings your favorite dinosaur from Jurassic World to real life and lights up your home environment with more fun. 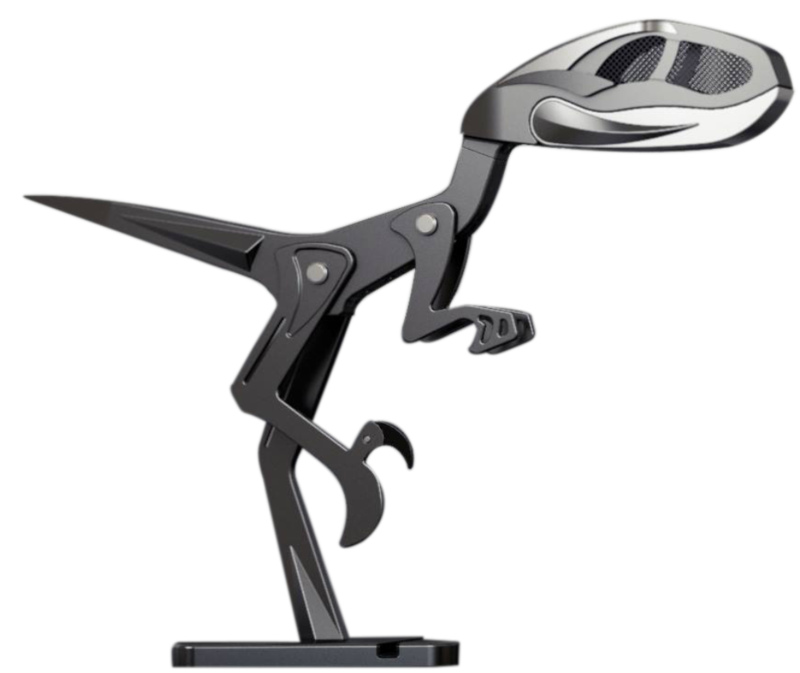 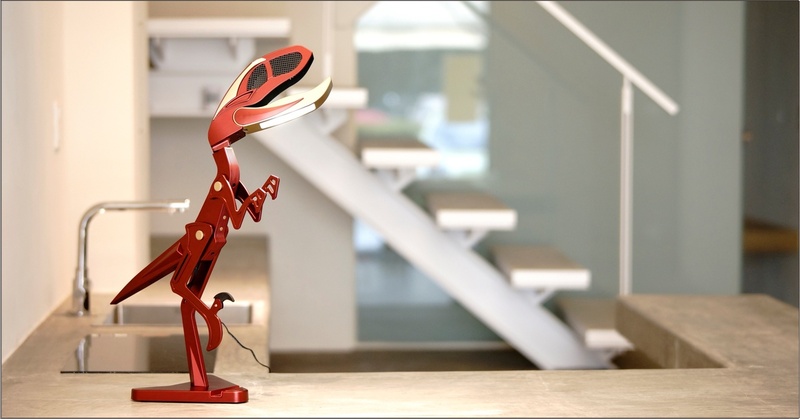 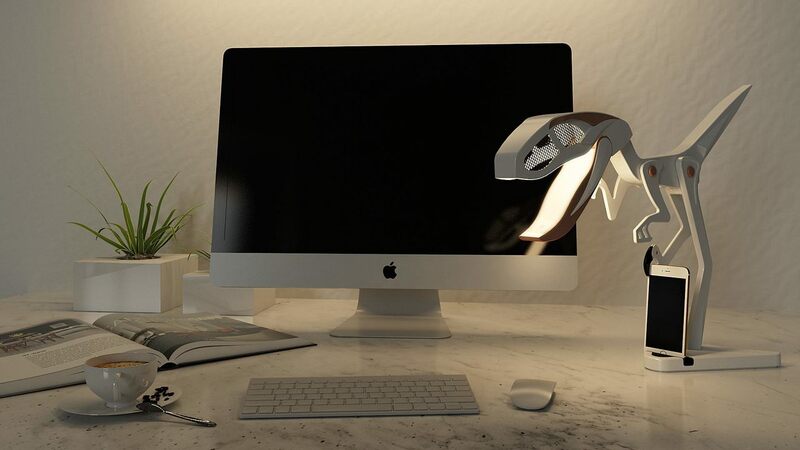 Raptor Lamp works with electricity instead of battery. 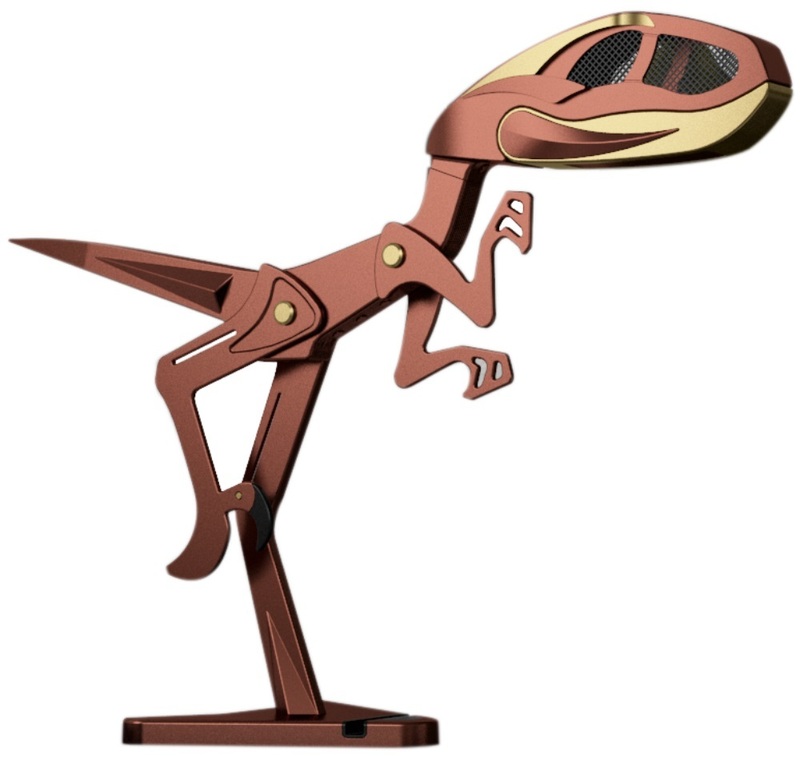 You could find the plug at the lower bottom of the raptor body. 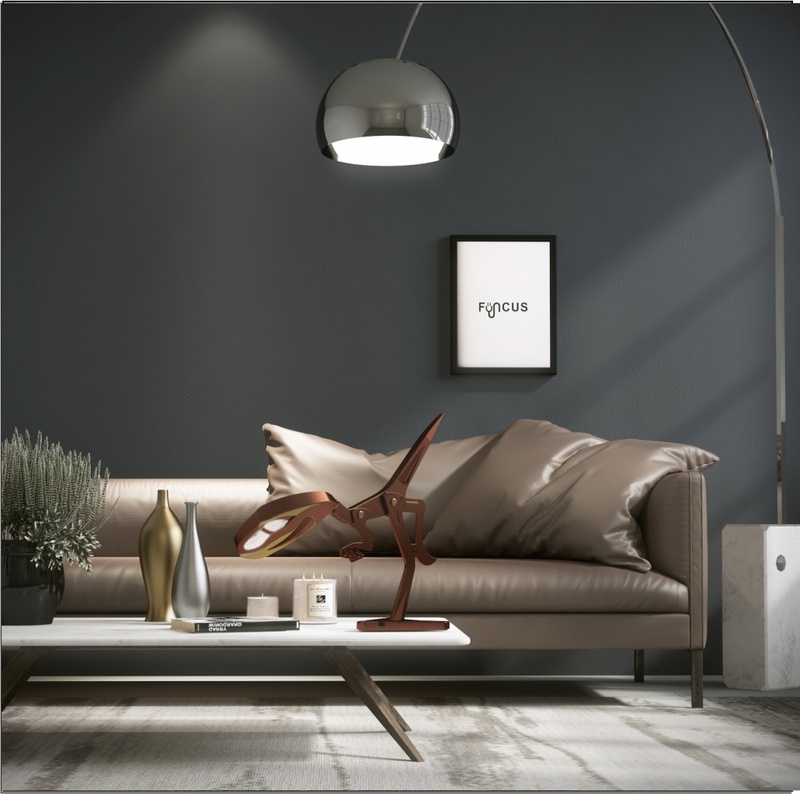 Keep away from fire and damp environment. 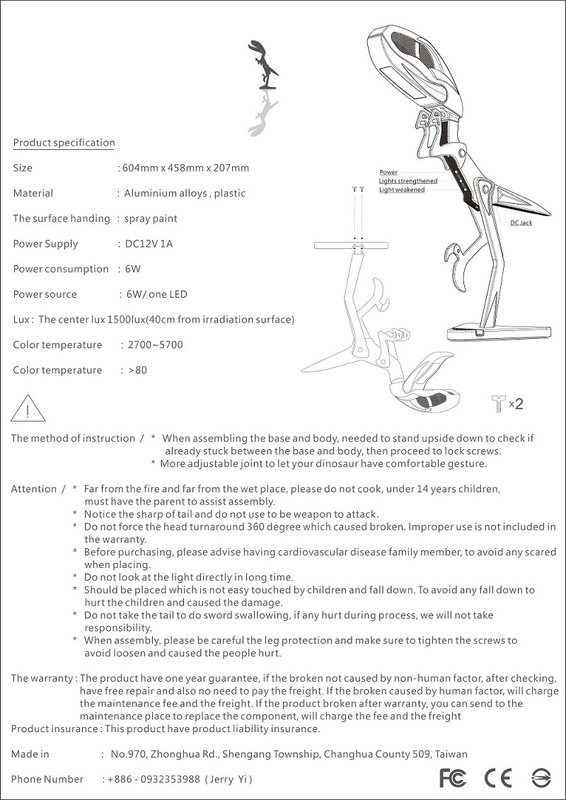 Do not cook. 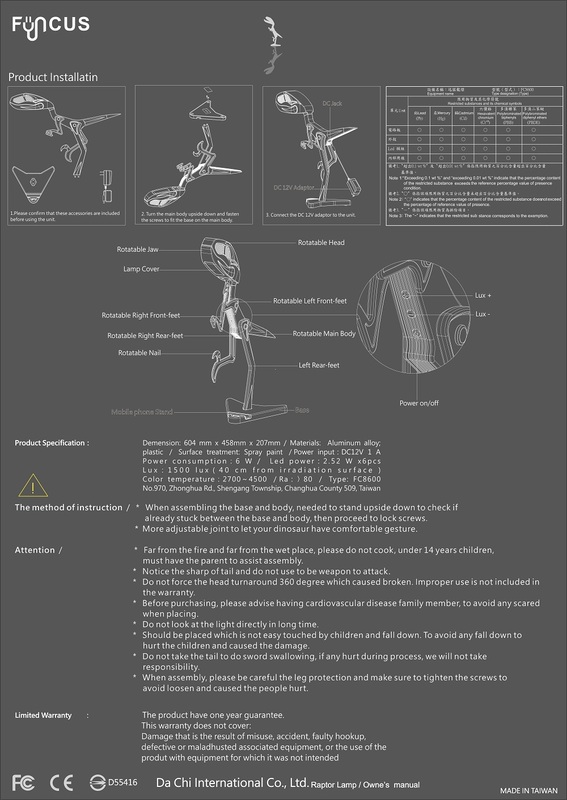 Children who under 12 years old should be accompanied by their parents and helped to assemble.